I'm a London Underground Lover and proud. I even have a whole blog dedicated to my secret anorak activity, so imagine my delight when this fell into my inbox this morning? 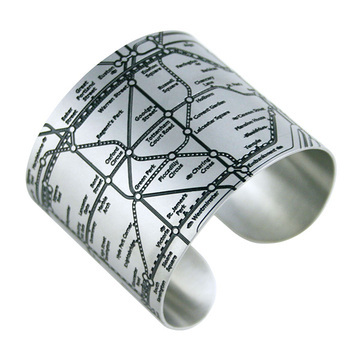 LOVING this London Tube Cuff from FabUK. No, it's not a hint - I already ordered one!